Students will learn dancing, acting and basic vocal technique. Students will become familiar with some classic musical theatre numbers throughout the week and we will present a short showcase based on SUESSICAL THE MUSICAL on the last day of camp. Please bring a nut free snack, water bottle, notebook and pencil. Based on interest. (w/ Ms. Nicole). Cost is $150 for the week. Additional siblings: $135. Welcome to the world of theatre! Students will study acting technique, explore improvisation exercises, auditioning technique, learn emphasis on dramatic versus comedic presentation and playwright a simple script they will star in themselves the last day of camp. Please bring a nut free snack, water bottle, notebook and pencil. Based on interest. (w/ Ms. Caroline). Cost is $150 for the week. Additional siblings: $135. Students will learn dancing, acting and basic vocal technique as well as auditioning skills. Students will become familiar with some classic musical theatre numbers throughout the week and we will present a short showcase based on THE MUSIC MAN on the last day of camp. Please bring a nut free snack, water bottle, notebook and pencil. (w/ Ms. Nicole). Cost is $150 for the week. Additional siblings: $135. It's a perfect time to brush up on your dance technique and perhaps explore some new genres before the school year starts! Make friends and enjoy getting back into some serious dance and seriously fun routines to be presented the last day of camp. Please bring a nut free snack, water bottle, notebook and pencil. Students will learn dancing, acting and basic vocal technique as well as auditioning skills. Students will become familiar with some classic musical theatre numbers throughout the week and we will present a short showcase based on the musical NEWSIES on the last day of camp. Please bring a nut free snack, water bottle, notebook and pencil. Based on interest. (w/ Ms. Nicole). $150 for the week. Additional siblings: $135. Students will learn jazz dance technique along with some acting and singing as they explore a new Disney themed musical each day! Students will present a brief showcase the last day of class. Please bring nut free snack and labeled water bottle. (Ms. Brenna). Based on interest. $150 for the week. Additional siblings: $135. Dancers, come build your technique and explore a new genre or two! 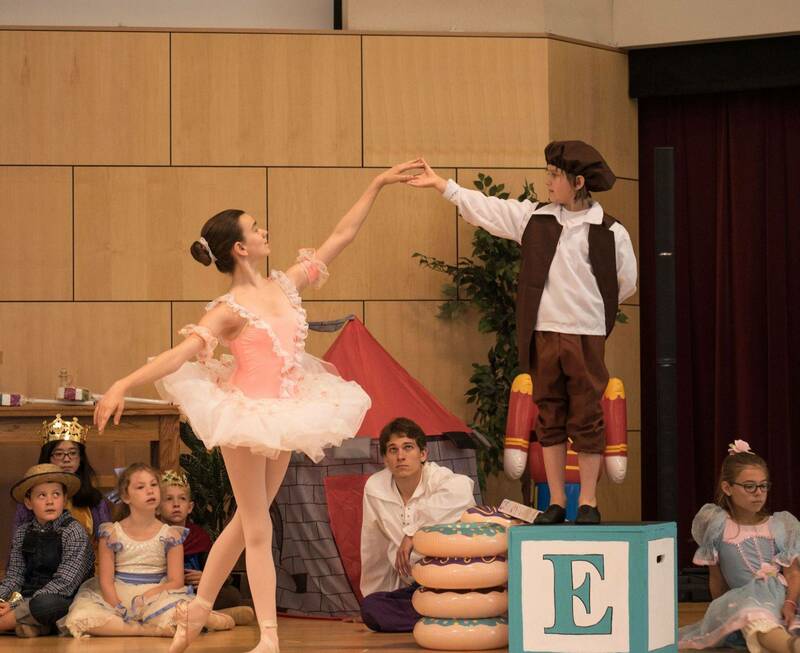 Each day includes Ballet, Jazz and Modern dance technique as well as opportunities for students to showcase their creativity. We will perform a short showcase on the last day of camp. Please bring a nut free snack, water bottle, notebook and pencil. Includes Creative Movement, Ballet and Drama with a Biblical theme. Craft/Game time included. Based on interest. (Ms. Caroline). Cost is only $25 per child for the three day camp! Please refer to our website for additional information: www.cornertsoneballet.com. Earlybird registration deadline is May 19, 2018 for $5 discount per enrollment. There is no final enrollment deadline HOWEVERVER enrollment for all camps are first come, first served and slots may fill up quickly. Even our Donation only camp requires registration. Age limits for all camps are flexible dependent on skill and maturity. We recommend dance attire and dance shoes for all camps. Students may also wear clothes they can move easily in and bare feet. Long hair should be worn back out of the face. Please have students also bring outside shoes as some exercises or games may be outdoors. For camps ages 7+ students should bring a notebook and pencil in additional to peanut free snack and water bottle. Register at the CORNERSTONE BALLET TABLE in the Shepherd Gate Church Foyer. OR DOWNLOAD EMAIL THIS FORM TO ADMIN@CORNERSTONEBALLET.COM AND SEND PAYMENT VIA PAYPAL.